Sometimes it pays to send a personalized note to a client. Your UV coating machine can help clients realize this potential. They can send something back in an email, but it does not have the same effect. Studies have shown, most people do not read emails, they scan them. And, most people do not write for people to scan their content. Send a personal note and your customer will read it. As part of their marketing process, there should be touch points built into their customer engagement to make sure personalized notes are being sent out. It could be after every project is complete. It could be sending them a simple note about a local community event or invitation to a ball game. Handwritten notes are the exception today, not the norm. 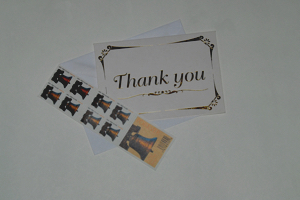 To make them look great, have them design a branded postcard or thank you note. Run the print through a UV coating machine to ensure that it stands out and is protected. They can even include things like web addresses or QR Codes to direct people to specific promotions or special. This allows you to track how effective direct mail is. 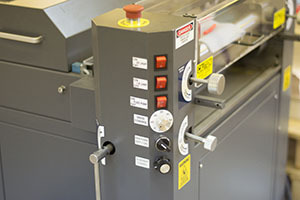 Keep your UV coating machine working for you and your customers. Offer them the marketing tools to stand out from the rest. A hand written note is a unique marketing tool in our impersonal digital world.